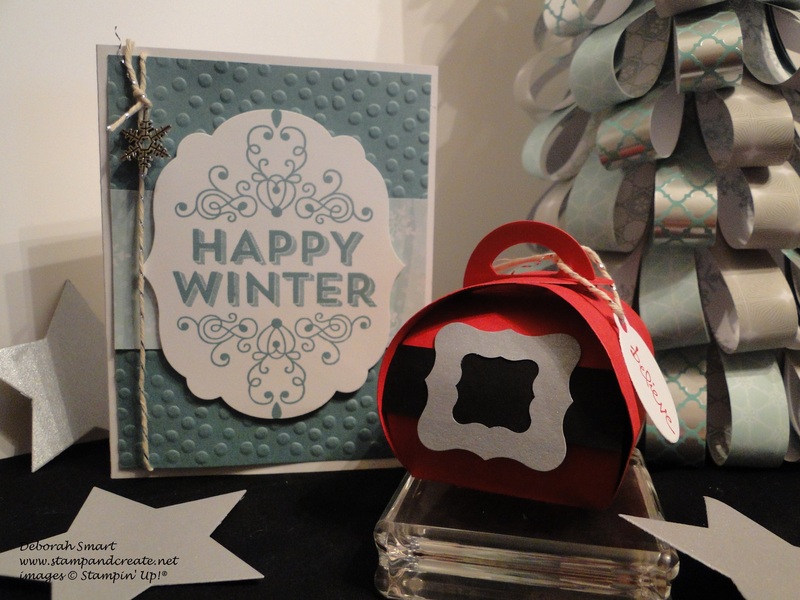 Creative Craft Escape – Fun, Fun, Fun!! I’d like to say a huge ‘THANK YOU’ to everyone who visited my blog over the weekend and Monday, for visiting the Creation Station and the SUDSOL Blog Tours – I hope you had as much fun taking the tours and getting some creative inspiration, as we demonstrators had in creating the projects! Seriously – you all set my blog view numbers through the roof! and I hope you’ll join as a subscriber to my blog, so that you won’t miss a thing! 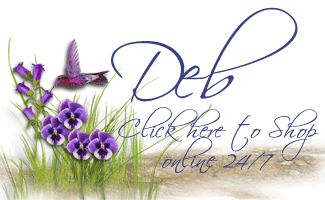 Such as – another Blog Tour tomorrow – the Wacky Watercooler Blog Tour! If you’ve been following my blog, even randomly, for the last couple of months, you’ll know that one of my team members and I held our very first ‘Creative Craft Escape’ this past Sunday. Debbie has been part of my INKcredibly Creative Crew for 1 whole year now, and we wanted to have lots of fun, help get you prepared for the holidays, and of course give away some prizes! For those of you who couldn’t make it this year, I’d like to share some pictures from the event! 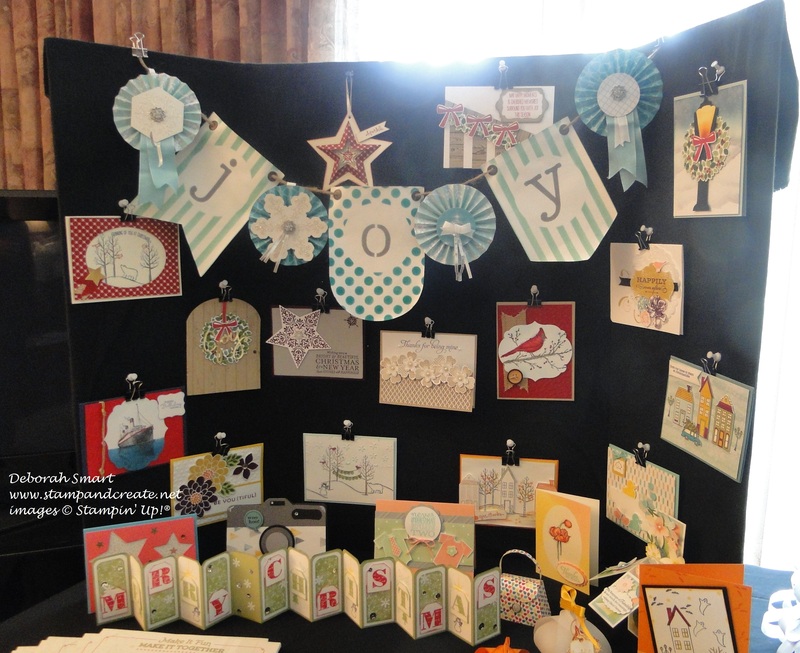 Inspiration Station – projects showing different ideas for using stamp sets, and making home decor items. The lighting wasn’t the best (I guess I should have closed the blinds for this picture!). 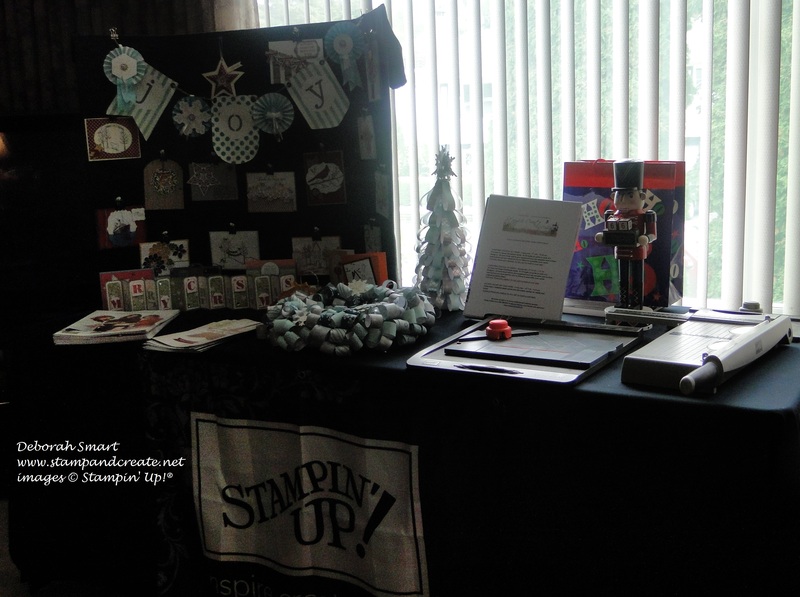 We also had some fun tools out to ‘play’ with – the Gift Box Punch Board, Envelope Punch Board, Big Shot, Simply Scored, Paper Trimmer, etc. Goody Bags and name tags – all ready & waiting for the guests! (they’re lined up behind each other, & on the floor. the bags, not the guests! LOL). Each guest received their own monogrammed goody bag! 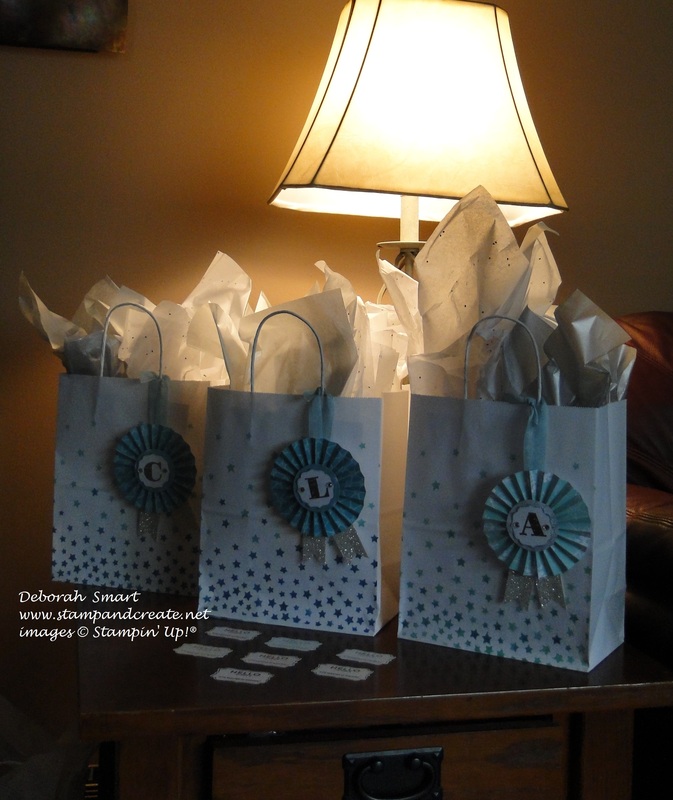 To decorate the bags, I used the Stars from the Hearts & Stars Decorative Masks (#133777 Annual Catalogue) and sponged in an ombre effect using Island Indigo and Pool Party classic inks and sponge daubers. The rosettes were made using (retired) Winter Frost DSP, Silver Glimmer paper, (retired) Morning Post Alphabet, and Soft Sky ribbon. 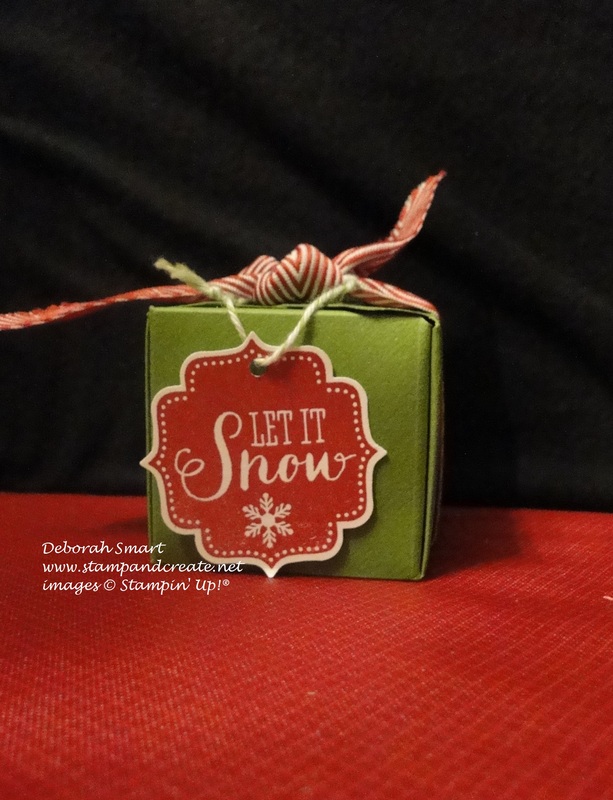 The adorable Santa box is one of the other projects everyone made; it’s made using the Curvy Keepsake Box die, and decorated to look like Santa’s belly! 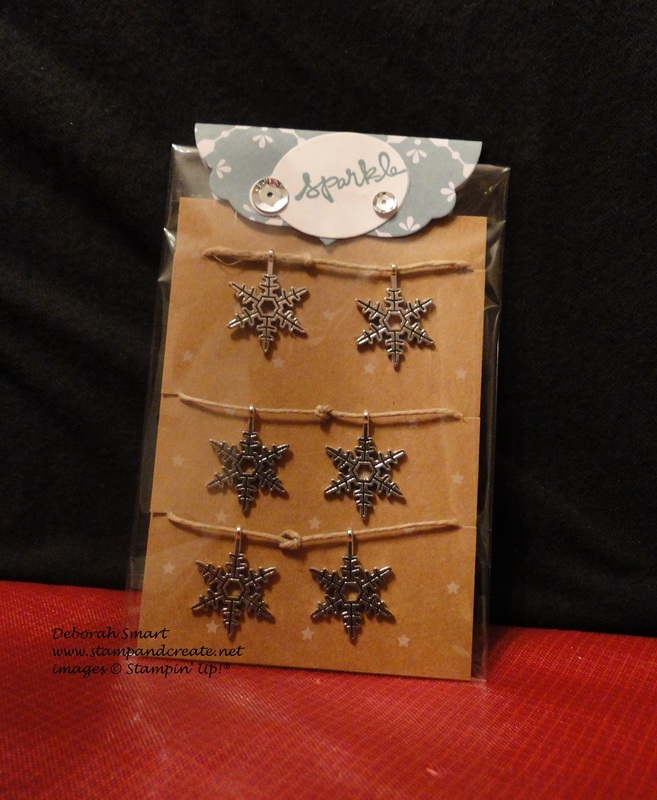 The tag reads ‘Believe’ – because you just have to believe in Santa, right? That’s a LOT of pictures for one day – if you’re even still with me, here! I’ll continue with more pictures tomorrow morning – I hope you’ll come back to see them! Previous Previous post: SUDSOL Blog Tour – Happy Holidays! Next Next post: Wacky Watercooler Blog Hop – Holiday Time! SAVE the DATE for CROP and CREATE! Weekly Deals, Project Life Giveaway, & more Creative Craft Escape Fun! Deb that looks like such fun. My invitation must have gotten lost in the mail. 😉 I would have loved to join you all!